DeltaPatents : Case Law DeltaPatents EPO Case Law: T 384/15 - Intervention another company from the same group as the opponent: admissible? T 384/15 - Intervention another company from the same group as the opponent: admissible? Opposition appeal proceedings were pending with a single opponent, Santarelli SA. Early during the appeal proceedings, a first intervention was filed by a first assumed infringer, Bose Gmbh. At a later moment during ther appeal proceedings, a second intervention was filed by a second assumed infringer, Bose Limited. The proprietor objected to the interventions by Bose Gmbh and Bose Limited as both belong to the same group as Santarelli SA, and submitted that these two intervenors were not third parties and that the filed interventions were abuse of law, as a consequence of which the interventions (as well as the opposition) should be considered inadmissible. The Board did not agree. The Board and that the interveners are "third parties", and also that the invoking Article 105 EPC had not been an attempt by the opponent and/or interveners to circumvent the law by abuse of process. The Board held the opposition and both interventions admissible. I. The appeal concerns the decision of the opposition division rejecting the opposition of the opponent Santarelli SA. The grounds for opposition invoked by the opponent were those pursuant to Article 100(a) and (b) EPC. II. In the impugned decision, the opposition division held that the invention as claimed in claim 1 of the patent as granted was disclosed sufficiently clearly and completely for a skilled person to carry it out (cf. Article 83 EPC). It also held that the subject-matter of claim 1 was new with respect to the disclosure of either D1 or D2 (= US 2005/0008180) respectively and involved an inventive step with respect to the combination of D1 and D2. III. In the statement of grounds of appeal, the opponent (hereinafter "appellant") requested that the decision under appeal be set aside and that the patent be revoked in its entirety. It argued, inter alia, that the disclosure was insufficient and that the subject-matter of claim 1 was not new with respect to document D2, and did not involve an inventive step based on the combination of D1 and D2. IV. In response to the statement of grounds of appeal, the proprietor requested that the patent be maintained in unamended form, i.e., implicitly, that the appeal be dismissed. V. Subsequently, an intervention by an assumed infringer, namely Bose GmbH, (hereinafter "first intervener") was filed (cf. Article 105 EPC). The first intervener paid the opposition fee and the appeal fee and requested that the decision under appeal be set aside and that the patent be revoked in its entirety. It also requested reimbursement of the appeal fee (citing decision G 3/04) and accelerated prosecution. VI. The first intervener invoked the grounds for opposition pursuant to Article 100(a), (b) and (c) EPC. With respect to Article 100(a) EPC, it was argued, inter alia, that the subject-matter of claim 1 of the granted patent lacked novelty with respect to D1 or D2 and that the subject-matter of claim 1 lacked an inventive step with respect to D1 alone or the combination of D1 and D2. VII. In a reply to the notice of intervention, the proprietor requested that the intervention be held inadmissible for the reason that the opponent was a straw man acting for Bose, so that the party behind the opponent and the intervener was one and the same. VIII. In a letter of reply, the first intervener stated that "Bose GmbH ... was definitely not a party to the present opposition prior to its intervention". Therefore, it was contended that the intervention was admissible. (iv) The subject-matter of claim 1 did not appear to be new with respect to the disclosure of D2. X. Together with a reply to the board's communication received on 22 March 2018, the respondent submitted claims of seven auxiliary requests aimed at overcoming the board's objections with respect to Articles 123(2) and 100(c) EPC. The respondent made a plurality of requests, inter alia, that the opposition and/or intervention be held inadmissible as a result of an attempt to circumvent the law by abuse of process. The requests set out in the respondent's letter were essentially maintained until the end of the oral proceedings and thus are reproduced below in connection with the respondent's final requests. XI. Subsequently, a second intervention of an assumed infringer, namely Bose Limited, was filed (hereinafter "second intervener"). The second intervention essentially relied on the same grounds for opposition as the first intervention and both interveners were jointly represented. XII. Oral proceedings were held on 27 April 2018. The appellant requested that the decision under appeal be set aside and that the patent be revoked, as did both interveners. The first intervener further requested that its appeal fee be reimbursed. "1.1 We request that the opposition filed by Santarelli be deemed inadmissible. 1.2 Should the Board be unable to accede to the above request, we request that the following question be referred to the Enlarged Board of Appeal in accordance with Article 112(l)(a) EPC: "If evidence clearly indicates that a strawman opponent is acting on behalf of a party who intervenes in opposition proceedings (Art. 105 EPC), is the involvement of the opponent to be regarded as circumventing the law by abuse of procedure (cf. G 3/97 and G 4/97), the consequence of which being that the opposition is inadmissible?". 1.3 Should the Board accede to neither of the above requests, we request that the intervention be deemed inadmissible and that the appeal of the Appellant be dismissed. 1.4 Should the Board deem the intervention to be admissible, we request that the case be remitted to first instance to have all new grounds, facts and evidence examined in order that we be in a position to defend the patent before two instances of jurisdiction. 1.5 Should the Board deem the intervention to be admissible, but wishes to examine whether the decision of first instance is correct in view of the grounds, facts and evidence raised in the Appellant's written statement setting out the grounds of appeal, we request that the Board decides on the correctness of the decision of first instance only on the basis of these grounds, facts and evidence and, if the Board were to conclude that these do not prejudice the maintenance of the patent, remit the case to first instance to have all new grounds, facts and evidence examined. 1.6 Should the Board nevertheless intend to proceed as laid out in section 19 of its Communication, we request that the appeal of the Appellant be dismissed, that the granted patent be found to fulfil the requirements of Article 123(2) EPC and that the case be remitted to first instance to examine the objections based on the new documents on file cited by the intervener. 1.7 To the extent that the Board were to find that the granted patent contravenes Article 100(c) EPC, First [to] Seventh Auxiliary claim sets are enclosed. To the extent that the Board finds that one of these Auxiliary claim sets overcomes the objections laid out in the Board's Communication, we request that the decision under appeal be set aside and that the case be remitted to first instance to have that Auxiliary claim set examined in view of the objections based on the new documents on file cited by the intervenor." In addition, as a further auxiliary request, the respondent requested that the patent be maintained in amended form on the basis of "first auxiliary patent claims" as filed during the oral proceedings. This request was to be ranked between requests 1.6 and 1.7. At the end of the oral proceedings, the chairman announced the board's decision. "Ear unit for stable fittings in an ear, wherein [...]"
XV. In view of the board's decision, there is no need to recite the wording of claims of any of the remaining auxiliary requests. 1.1 The respondent argued that there was credible evidence that the opponent Santarelli SA was acting on behalf of one or more divisions of Bose Corporation, but had concealed this relationship. Further, all divisions of Bose, including the assumed infringers and interveners Bose GmbH and Bose Limited, were legally inextricably linked to the Bose Corporation. A requirement for an admissible intervention is that it be filed by a third party. By having chosen to protect its anonymity by filing the opposition in the name of a straw man, the true opponent has availed itself of the possibility of also intervening in the opposition proceedings because it is impossible, at least at first glance, for the EPO or any other party to ascertain whether the interveners are third parties or not. This constituted an abuse of process allowing circumvention of the law as laid out in Article 105(1) EPC. This anonymity also allowed Bose to pick and choose who they might subsequently wish to present as the true opponent, depending on circumstances, which also resulted in an abuse of process. As a consequence, the opposition filed in the name of Santarelli SA must be deemed inadmissible ex tunc. In turn, this meant that there were no pending opposition proceedings when the notices of intervention were filed by Bose GmbH and Bose Limited respectively. It followed that the interventions were also inadmissible. 1.2 The appellant further argued that all divisions, companies and legal entities within the Bose Corporation should be regarded as a group of joint opponents (cf. G 3/99, OJ EPO 2002, 347) with Santarelli SA acting as a common representative. On that basis, Bose GmbH (and by implication Bose Limited) would be one of the joint opponents and thus not able to intervene as a third party. "The status of opponent is a procedural status and the basis on which it is obtained is a matter of procedural law. The EPC addresses this in Article 99(1) in conjunction with Article 100, Rules 55 and 56(1) EPC. On this basis, the opponent is the person who fulfils the requirements of the EPC for filing an opposition; in particular, the person must be identifiable (see Rule 55(a) EPC). The EPC does not specify any further formal requirements to be met by the opponent. A person who fulfils the said requirements becomes a party to the opposition proceedings (Article 99(4) EPC). In these proceedings, only his acts are relevant. A third party (the "principal") who has incited the opponent to file the opposition cannot perform any procedural acts. The question whether the opponent's acts accord with the intentions or instructions of the principal is relevant only to the internal relationship between the latter and the opponent, and has no bearing on the opposition proceedings." (board's underlining). 1.4 Although the interveners are "third parties", it still has to be considered whether, by invoking Article 105 EPC, there has been an attempt by the opponent and/or interveners to circumvent the law by abuse of process and thus whether there are grounds for holding the opposition and/or interventions inadmissible. 1.5 In decision T 305/08, the opponent-appellant OI was alleged to be the patent department (although had an entirely different name) acting for interveners OII and OIII. The board of appeal in that case noted the evidence which appeared to suggest that OII and OIII belonged to the same group of companies as OI, but found that there was no attempt to circumvent the law by abuse of process. In this respect, the interveners were quite clearly distinct legal entities and were adhering to due process by filing interventions which was only possible by the actions of the respondent-proprietor against them (cf. point 1.5.8 of the reasons). 1.6 In the board's view, the same situation exists in the present case. The respondent has produced evidence suggesting a relationship between the appellant and the interveners, but no proof, as admitted by the respondent, that Santarelli SA was acting directly on behalf of either Bose GmbH or Bose Limited. Further, the representatives for the appellant and the interveners expressly denied that this was the case. 1.7 The argument that it is impossible for either the EPO or the proprietor to determine whether the interveners are third parties or not is here not relevant, since the board is satisfied that in the present case the interveners are third parties in the sense of being separate legal entities and not being the principal behind the opponent. 1.8 The argument that the anonymity created by using a straw man allowed Bose to pick and choose who they might subsequently wish to present as the true opponent, depending on circumstances, is also not convincing. In the present case, neither Bose GmbH nor Bose Limited were apparently involved when the opposition was filed. Bose has not presented anyone as the "true opponent", and indeed has had no need to do so. 1.9 The argument that all divisions, companies and legal entities within the Bose Corporation should be regarded as a group of joint opponents (cf. G 3/99) with Santarelli SA acting as a common representative is not convincing either. The opponent in this case is the legal entity which filed the opposition (Santarelli SA). There is no request by either Santarelli SA or Bose GmbH and Bose Limited that the oppositions should be considered as joint oppositions and therefore no basis for considering them as such. 1.10 The other requirements set out in Articles 99(1) and 105(1) EPC and Rule 77(1) EPC being met, which was not contested by the respondent, the board concludes that the opposition of Santarelli SA and the interventions by Bose GmbH and Bose Limited are admissible. The interveners are treated as opponents in these opposition appeal proceedings (cf. Article 105 EPC). "If evidence clearly indicates that a strawman opponent is acting on behalf of a party who intervenes in opposition proceedings (Art. 105 EPC), is the involvement of the opponent to be regarded as circumventing the law by abuse of procedure (cf. G 3/97 and G 4/97 [OJ EPO 1999, 245 and 270)]), the consequence of which being that the opposition is inadmissible?". 3.2 For the reasons given above (cf. points 1.6 and 1.7), the board has concluded that the opponent, even if a strawman, is not acting on behalf of the interveners. Consequently, the board does not need an answer to this question to decide the case. The request for referral is therefore refused. 4.1 In the case that the board deems the interventions to be admissible, the respondent requested that the case be admitted to the first instance to have all new grounds, facts and evidence examined in order that they be in a position to defend the patent before two instances of jurisdiction. 4.2 In accordance with decision G 1/94 (OJ EPO 1994, 787), "in application of what has been stated by the Enlarged Board in case G 10/91 [OJ EPO 1993, 420] for the exceptional situation of the introduction of new grounds in ordinary appeal proceedings, if a fresh ground for opposition is raised by the intervener, the case should be remitted to the first instance for further prosecution, unless special reasons present themselves for doing otherwise, for example when the Patentee himself does not wish the case to be remitted". 4.3 As regards the fresh ground for opposition under Article 100(c) EPC, the respondent stated that it did not wish this ground to be discussed in these appeal proceedings. Further, the respondent argued that the normal sequence of examination was to determine compliance with Articles 83 and 123(2) EPC (cf. the grounds for opposition pursuant to Articles 100(b) and 100(c) EPC) before examining for novelty and inventive step. It followed that the case should be remitted with no discussion of the ground for opposition pursuant to Article 100(a) EPC. 4.4 The board agreed with the respondent that there were no special reasons not to remit the case in accordance with G 1/94 as regards the ground for opposition pursuant to Article 100(c) EPC. However, that did not mean that the other grounds for opposition, in particular Article 100(a) EPC, could not be discussed insofar as being within the scope of the opponent's case presented during the opposition proceedings and decided on by the opposition division. In any case, the respondent considered that claim 1 as granted complied with Articles 83 and 123(2) EPC, so that there was nothing illogical in discussing novelty and/or inventive step within the framework of the original opposition. 4.5 The request for remittal of the case was therefore refused. 5.1.7 Therefore, the board concludes that the subject-matter of claim 1 as granted is not new with respect to the disclosure of D2 (Articles 52(1) and 54 EPC). The ground for opposition pursuant to Article 100(a) EPC thus prejudices the maintenance of the patent as granted. 6.1 This request was filed by the respondent towards the end of the oral proceedings and thus its admissibility is subject to the board's discretion (Article 13(1) RPBA). In general, the boards of appeal do not admit a request filed at such a late stage of the proceedings unless it is prima facie allowable. 6.2 In the board's view, as pointed out by the appellant, the amendments to claim 1 prima facie do not comply with Article 123(2) EPC. In particular, the requirement "to provide a contact surface extending from the first end to the second end of the decremental curve" has no direct and unambiguous basis in the application as filed. The respondent referred to the figures and page 3, lines 31 to 34, of the description of the application as published. However, the figures do not show a contact surface and the passage of the description referred to by the respondent does not contain this amended feature either. 6.3 The board therefore decided not to admit the request. These requests were conditionally filed should the board decide that claim 1 as granted did not comply with Article 123(2) EPC. As the board did not decide on this issue, there is no basis for considering these requests. As there is no allowable request, the patent must be revoked. 9.1 The first intervener Bose GmbH has paid both the opposition fee and the appeal fee. At the same time, it requests reimbursement of the appeal fee, citing G 3/04 (OJ EPO 2006, 118). 9.2 In accordance with G 3/04 (cf. point 11 of the reasons), a party which intervenes during opposition appeal proceedings cannot have the status of an appellant. There is therefore no legal basis to pay an appeal fee. The appeal fee is therefore to be reimbursed. 3. The appeal fee paid by the first intervener is reimbursed. This decision T 384/15 (pdf) has European Case Law Identifier: ECLI:EP:BA:2018:T038415.20180427. The file wrapper can be found here. 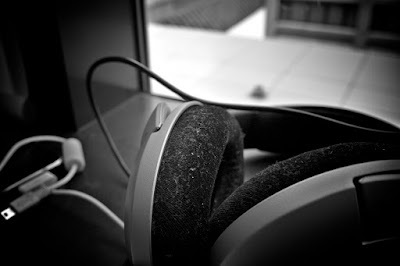 Photo "Headphones" by VirtualWolf obtained via Flickr under CC BY-SA 2.0 license (no changes made).